It is normally a requirement of a planning application to undertake a tree survey if there are trees on, or adjacent to a proposed development site. Any survey required for planning or development should always be undertaken in accordance with the British Standard (BS) 5837: 2012 Trees in relation to design, demolition and construction – recommendations. 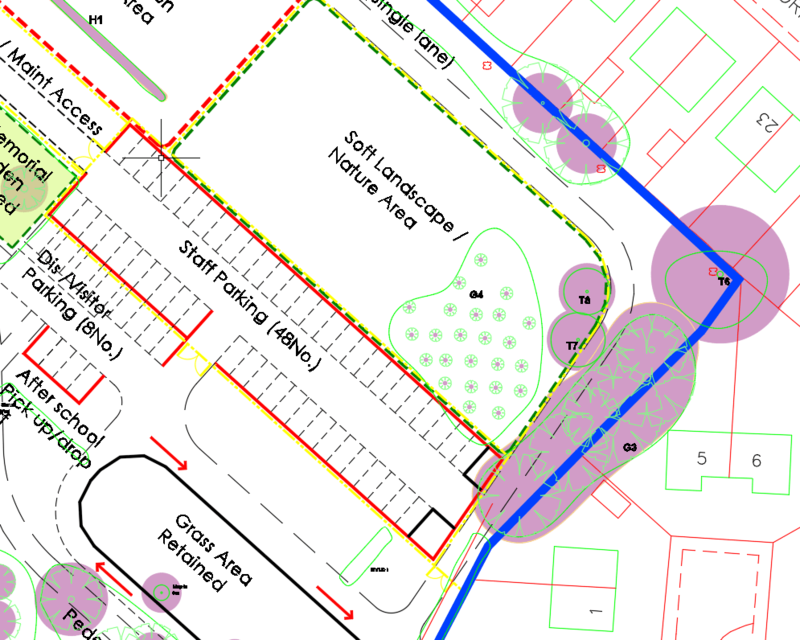 A BS 5837 – Tree Constraints Report is an important tool at the beginning of the development process which helps to inform a suitable site design and will help to avoid issues at a later stage in the development process. Included in the Tree Constraints Report will be a tree survey schedule which will identify any individual trees or tree groups on, or adjacent to the site boundary and records information such as height, canopy spread, quality grading (i.e. either unsuitable for retention, high, moderate or low quality) and root protection area (RPA). The Tree Constraints Report will also include a Tree Constraints Plan. The Tree Constraints Plan uses the information collected via the tree survey to show the constraints posed by the trees and will include an accurate representation of the canopy and RPAs. This information will allow a suitable design to be developed whilst retaining trees. An Arboricultural Impact Assessment, also known as: Arboricultural Implications Survey, Arboricultural Implication Assessment, Arboricultural Impact Appraisal or Pre-Development Tree Assessment. This assessment is carried out in accordance with the current British Standard 5837. 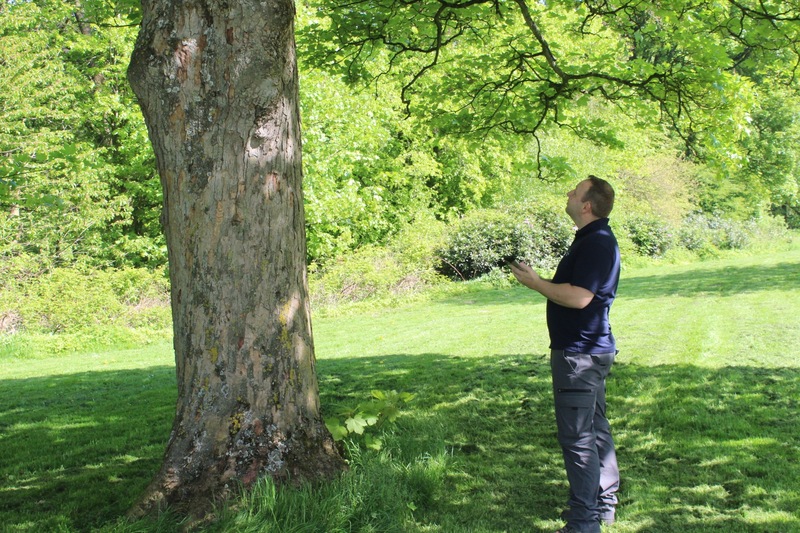 An Arboricultural Impact Assessment (AIA) is a tree survey that considers how a proposed development will affect and safeguard existing tree stock within and immediately opposite the designated application site. This allows the Local Planning Authority (LPA) enough information to show that factors such as root protection, any changes in levels, installation of services (including fibre optic, amenities and utilities), material storage, and so on have been given due consideration during the initial design process and that these items will not have any long term detrimental effects to retained trees. An AIA will also ensure that future issues, such as the long-term effects of changing surface levels or any future need to prune or remove trees due to casting excessive shade or encroachment to properties, are addressed and negated. An AIA is recommended as one of the first steps in the planning process. This can be used to inform the design and layout of the development which can avoid conflict between retained trees and the requirements of the development. Having this information early can minimise costs and time once the Planning Application has been submitted. 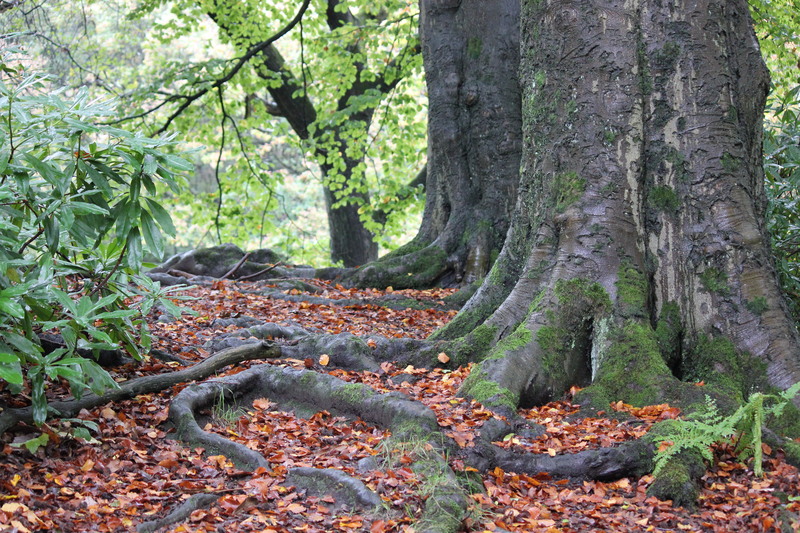 The AIA can also include ancient and veteran trees and woodlands, important hedgerows, and other significant habitat to be identified at an early stage allowing for improvements to those habitats to be included within the initial application. The AIA allows all potential conflicts to be identified at an early stage, this allows these conflicts to be resolved as a part of the planning process before a decision is made – reducing the need for a lengthy list of planning conditions. An Arboricultural Method Statement is a document that is commonly used to describe how construction works can be carried out adjacent to trees while minimising any long term negative effect and safeguarding the trees for the future. It includes details on how the works will be managed and how the trees will be adequately protected throughout the developmental process. A Local Planning Authority will request an Arboricultural Method Statement (AMS) as a condition of planning consent (if not already within the Planning Application) in cases where construction is due to take place in close proximity to important trees, or within the Root Protection Zone (RPZ) of a tree due to be retained. The Arboricultural Method statement will be specific to the development. It will cover items such as the installation of protective fencing, hand excavation within Tree Protection Zones, and the use of boarding to avoid compaction, technical and engineering specifications and any other information that is required including site plans and tree survey schedule.